My freezer generally has a bag of sprouts. I sprout it and keep it in the freezer, so I can use it on and off in dishes or whenever I wish to, instead of waiting for the sprouts. And most of the time my menu is decided on the go, I do not plan in advance what I have to make, so have to keep this. 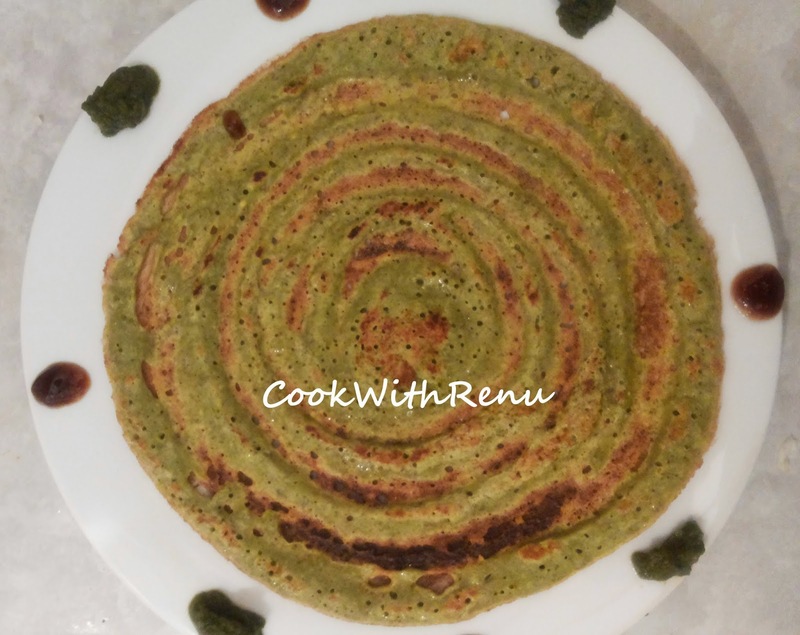 I did not wanted to make the misal, and mung sprouts chila was on my waiting list for long. Wanted to just give it a go. I thought the mixture will not be smooth after grinding, but no it was. 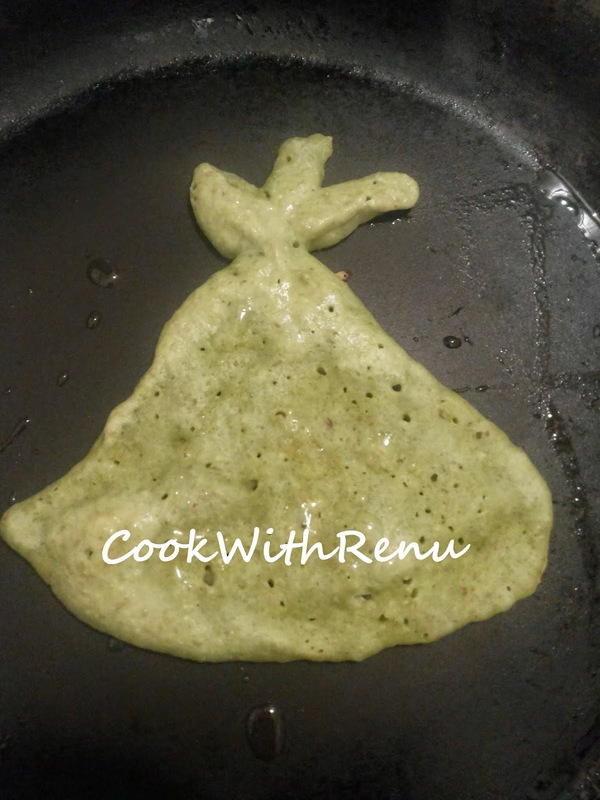 I was able to make nice, smooth and crisp chila’s or dosa’s. 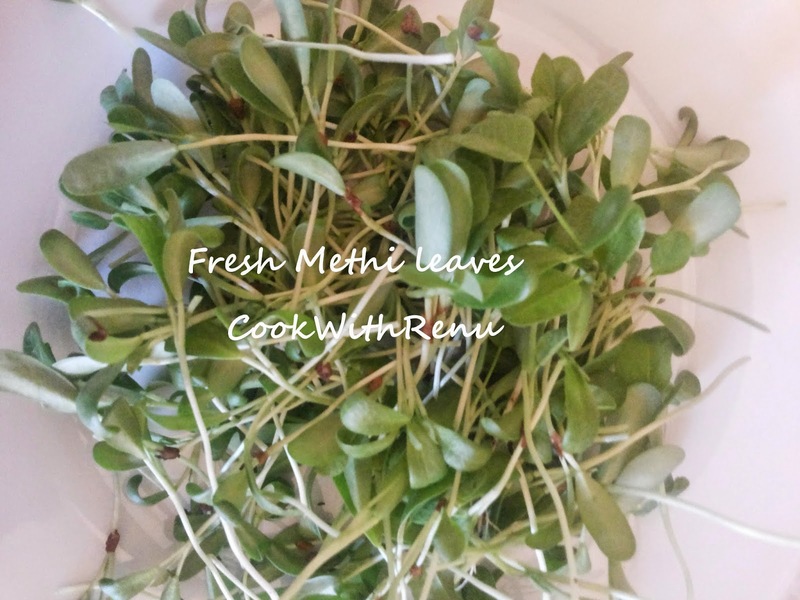 I also had some methi leaves fresh from my small window garden. 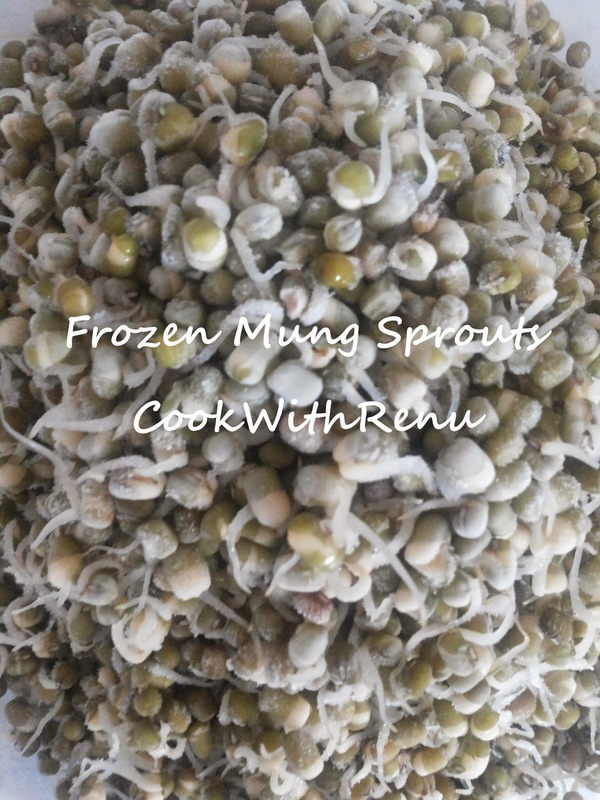 I simply harvested them and added them to the mung sprouts. Mung bean sprouts are low in calories, have fiber and loaded with Vitamins. 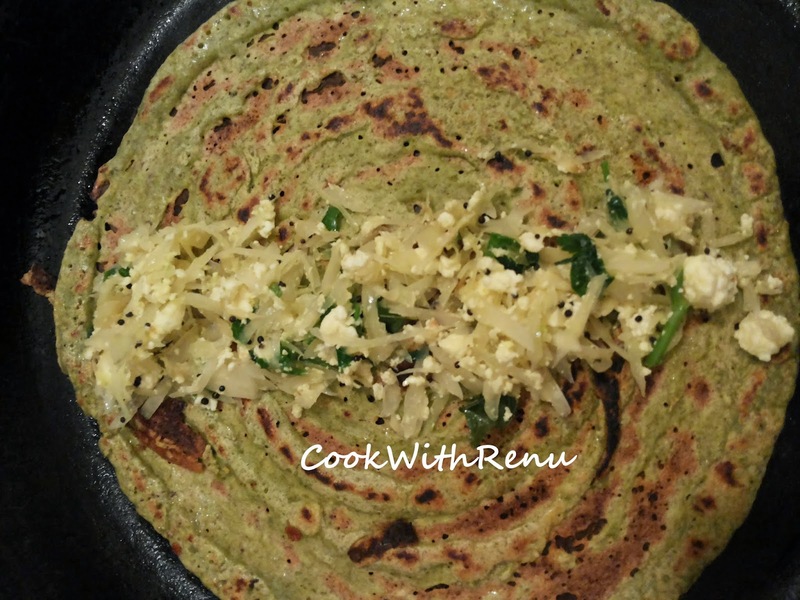 Combine this with the benefits of fresh methi leaves, result a complete nutritious food. 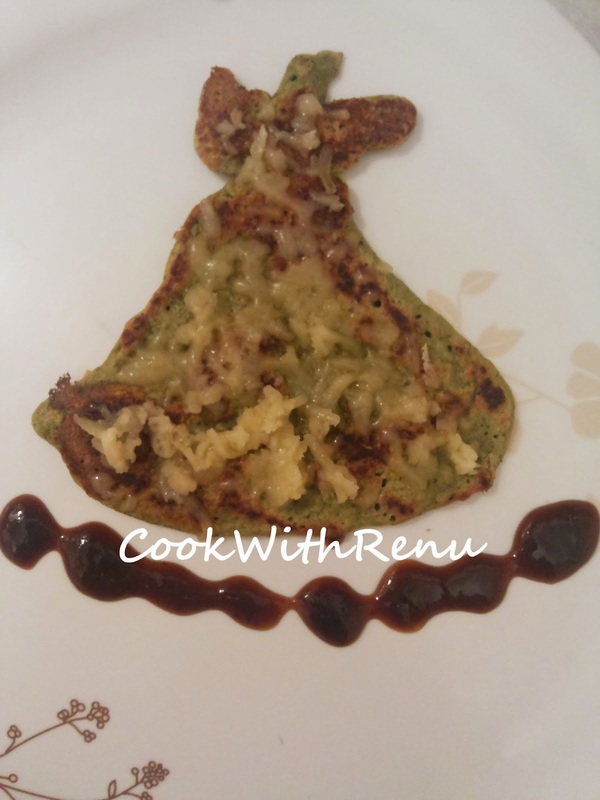 I have made three varieties of the same, first was plain, second was with cheese and third was with filling and also some shaped chila’s for my kid. 1/2 of fresh methi leaves. 3-4 tablespoons of oil for shallow frying. One can even add garlic if required. Grind the ingredients, i.e. 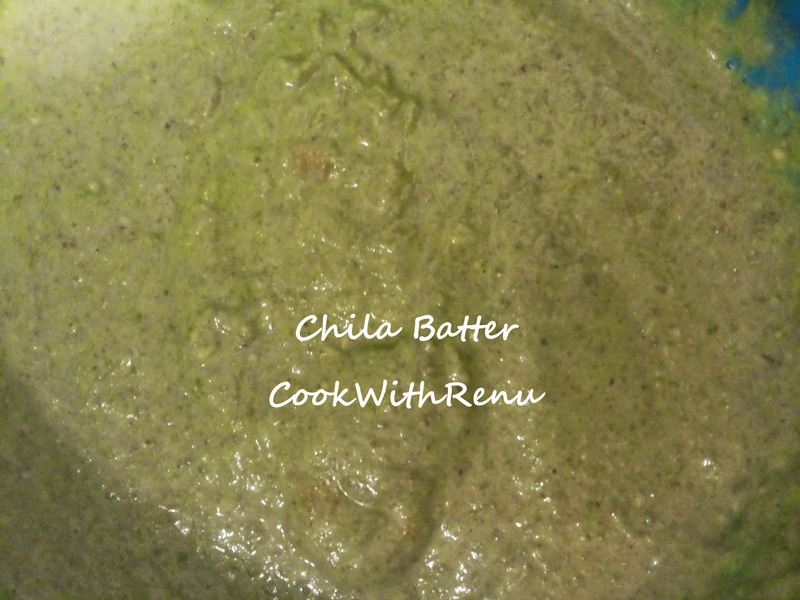 Mung sprouts, fresh methi leaves, Adrak, Green Chillies, Jeera and Hing in a mixer. 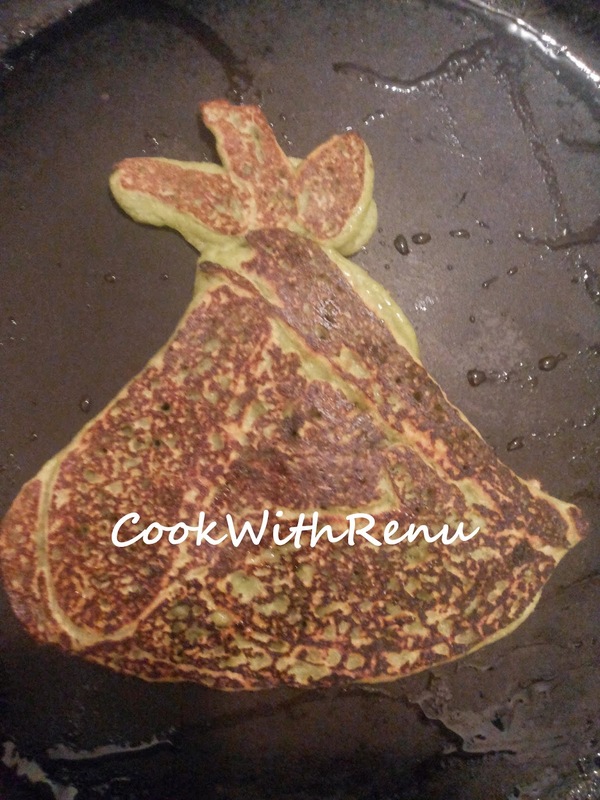 Add Salt, Besan and enough water and make a smooth consistency like batter leave it for 15-20 minutes. The Besan will soak some water. If required add a more water later. 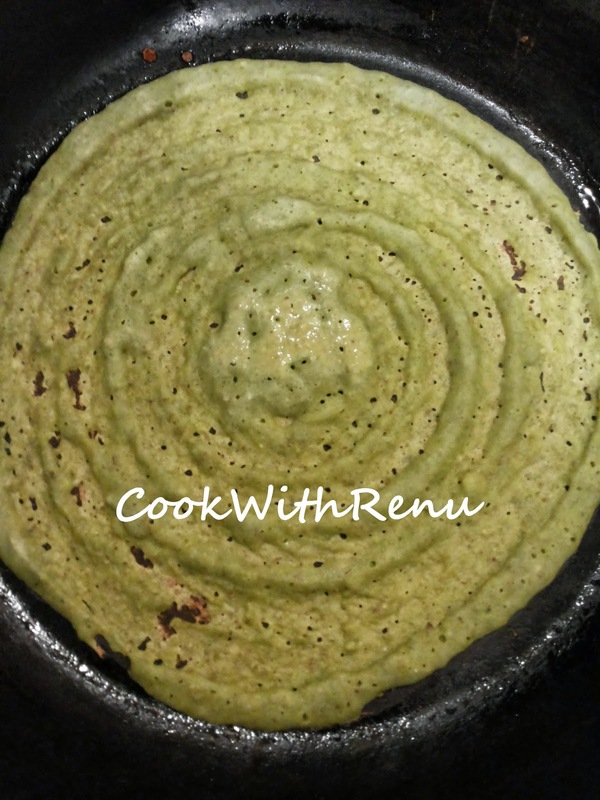 We require the batter to be like dosa consistency. 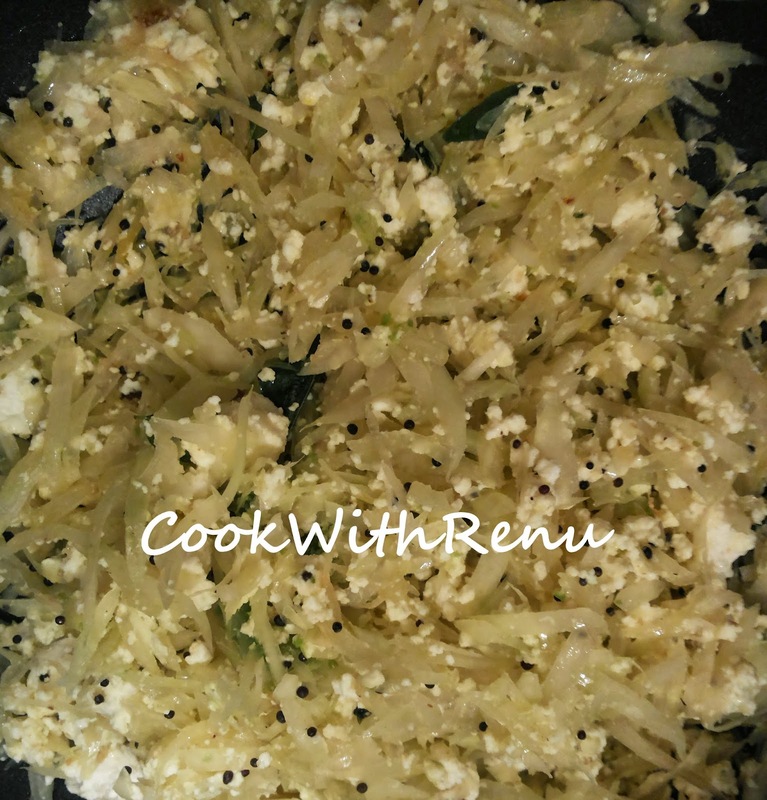 Once hot add the mustard seeds and curry leaves. Once Mustard seeds crackle, add the green chillies. Add the cabbage and saute for 3-4 minutes of high. We want the cabbage to be crisp and not soft. Add the paneer, turmeric, salt, coriander and give it a quick mix and switch off the gas. Once the pan is hot, Spread a spoon full of batter on the pan. 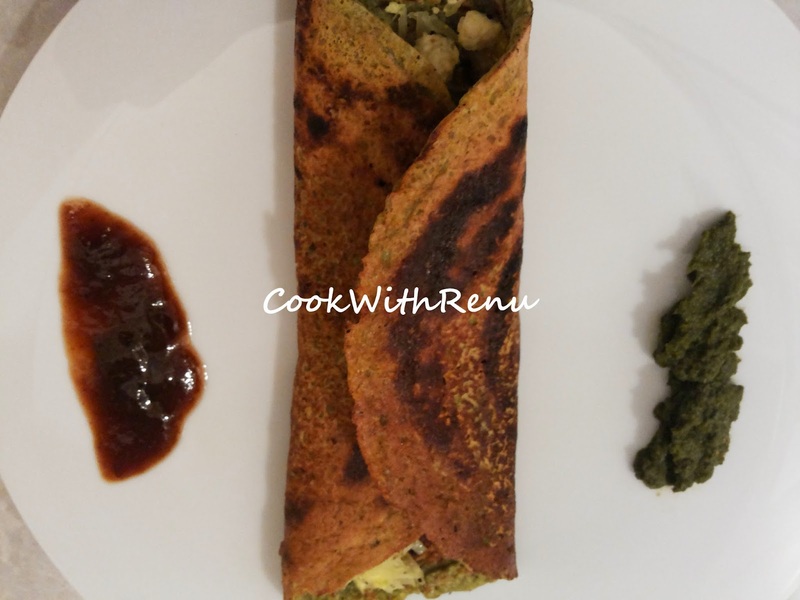 If required remove the pan from the gas and spread the dosa and then again keep it on the gas. This helps it in even spreading and not sticking of the dosa. Drizzle 3-4 drops of oil on the side. Once it starts leaving the edges, turn and cook on the other side. Just cook for a minute or so and it should be done. If with cheese, add grated cheese on the other side of the chila and serve. If with filling, add some filling in the centre and fold it on the sides and serve. Wow amazing, i will definitely try this. Thanks for sharing! !